The Eastern Partnership Index 2015-2016 charts the progress made by the six Eastern Partnership countries towards sustainable democratic development and European integration. The Index measures steps taken on the path towards good governance, including the observance and protection of democracy and human rights, sustainable development, and integration with the European Union. The Index is intended to serve as an important monitoring tool for policymakers, independent researchers, think-tanks and civil society actors. “Integration” is conceived here as a core and multi- dimensional concept that consists of converging norms, growing economic exchange, deeper transnational networks linking up societies, and more frequent contacts between people. This broad notion of integration implies that EU membership or association may be aims, stages or final states of the integration process. However, it is not limited to a normative approach, or a measure of harmonisation with EU norms and standards, but also reflects actual societal, economic and political change. European integration is seen as a non- hierarchical, networked process where citizens, civic associations and business organisations play important roles. Sustainable development in terms of key indicators such as health, poverty, and education, as well as environmental protection, are therefore given a central place in the Index, given their relevance to social and economic development and the fostering of a sustainable democratic society. The Index is the continuation of what was formerly known as the European Integration Index for Eastern Partnership Countries, building on the strong focus on the European integration process, and updating the index to reflect the current medium- and long-term challenges of sustainable development, human rights and democracy, and security and international co- operation in a tense political region. The earlier Index had three dimensions Approximation, Linkage, and Management (of the EU integration process). To strengthen the focus of the Index and to emphasize that the Eastern Partnership Index 2015-2016 is of direct relevance also to the countries whose governments have not expressed clear-cut aspirations towards closer European integration, Management has been folded into the other dimensions. Data in the 2015-2016 Index covers the period of March 2015 – December 2016, combining independent analysis with annual quantitative data to provide a snapshot of progress in the attainment and ongoing implementation of internationally recognised democratic standards and practice. Two dimensions of European integration are distinguished in the construction of the Index: Approximation and Linkage. The first dimension, Approximation, captures the extent to which EaP countries have implemented key EU norms and international standards. The second dimension, Linkage, encompasses the transnational linkages between business, civil society, citizens and governments in EaP countries and EU countries. This dimension consists of three sections. 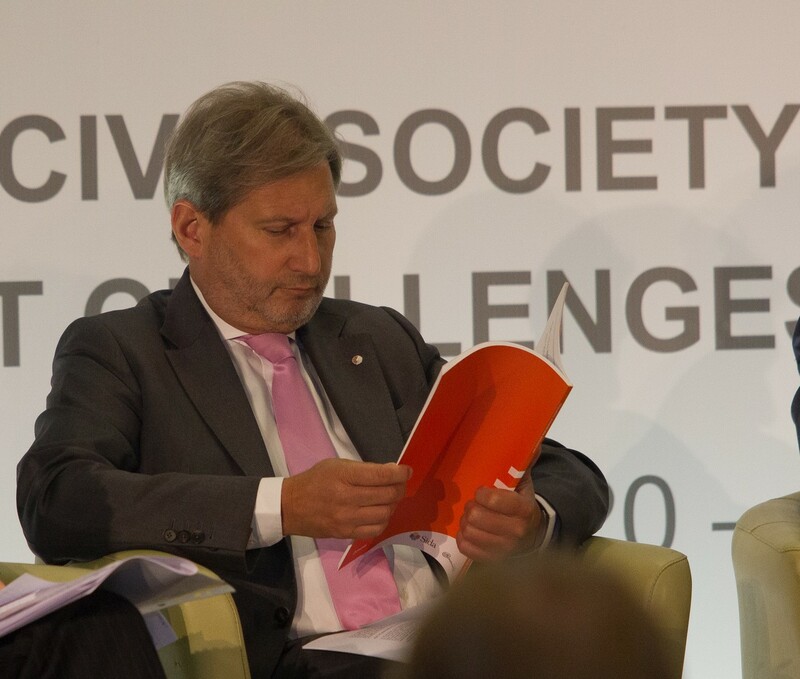 Since the Index is developed in the context of the Eastern Partnership Civil Society Forum, the Index aims to represent the views of civil society rather than only the positions and priorities of the European Commission and national governments. Rather than tracing the implementation of governmental and Commission-level policy agendas down to every technical detail, the Index focuses on outcomes that matter most for people and society. Adopting the perspective of civil society has manifest advantages. It is a step towards more “ownership” on the part of civic associations and society within the Eastern Partnership, contributing to “societal resilience”. In addition, this inclusive comparative perspective provides space and a voice for the citizens of EaP countries whose governments are not currently interested in further European integration. Reflecting the underlying perspective of civil society, the Index places particular emphasis on people-to-people contacts and transnational linkages among civil society organisations. In contrast, the governmental agenda of sectoral regulatory alignment is less extensively covered. The project is funded by the European Union, Open Society Foundations, the International Renaissance Foundation, Ukraine (IRF), and the Ministry of Foreign Affairs of the Czech Republic.